Honda OEM vs. Aftermarket Parts | Are Honda Parts Cheap? When looking to buy a car part, one question many people ask is, “Should I get the genuine Honda OEM part, or can I get away with buying a generic aftermarket part?” Fortunately, the Honda OEM vs. aftermarket parts debate can be settled by considering a few key factors. 1. Price: Are Honda Parts Cheap? It’s often cheaper to buy a generic part. That’s likely why you’re researching the difference between generic auto parts and a part from the original equipment manufacturer, or OEM. That’s one pro for buying the generic part. 2. The Guessing Game: Will It Work With My Honda? When you buy aftermarket parts, you’re taking a chance that the part you buy might not fit your Honda. The packaging may say that it will, but you won’t actually know until you buy it and try it. That’s strike number one against buying aftermarket parts vs. OEM Honda parts. 3. Warranty: Will Honda Parts Last? Parts not manufactured by Honda are called aftermarket, counterfeit, or gray market products. 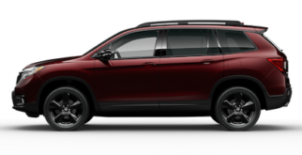 While they may work like a charm in your vehicle, your Honda warranty will not cover the aftermarket parts or any damage caused by their use in the vehicle. That’s one of the worst consequences of passing over genuine Honda parts for an aftermarket alternative. On the flip side, if you buy genuine Honda parts, you know they will work every time to do the job they were designed to perform. You won’t have to go through the hassle and the stress of hoping you have the right part, that it fits correctly, and that it works properly without causing damage to the rest of the vehicle. And you don’t risk warranty troubles, whether you’re sticking to Naperville or Chicago, or if you’re heading far from Bolingbrook. While the decision is yours, we highly recommend you put the very best in your vehicle and choose genuine Honda OEM parts instead of aftermarket parts. 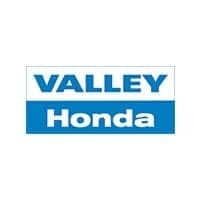 Please contact Valley Honda for more information about genuine Honda parts and accessories — we’ll be happy to help you!